Pharrell’s adidas NMD Hu creations are some of the most though-provoking and colorfully designed sneakers that hit the market with relative frequency. Each and every collection is centered around the human race and the idea that we should all come together as one for the common good. 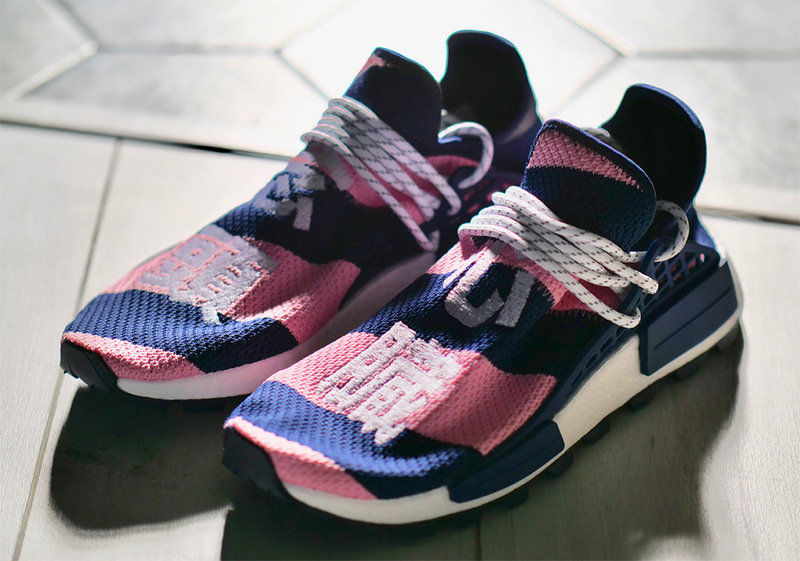 Last November, Billionaire Boys Club threw their hat in the NMD Hu ring with a Complex Con exclusive collaboration with Skateboard P on the NMD Hu Trail. Now, after months of images of a candy-striped BBC version done up in red, navy, and yellow have surfaced, the Yeezy Mafia has reported that a different iteration will be touching down in October. Utilizing Japanese characters on its forefoot, this whimsically-designed creation features purple and pink stripes in the same manner as the aforementioned BBC variety. No specific release date has surfaced just yet, but you can expect this Pharrell x BBC x adidas NMD Hu to arrive exclusively at BBC in October.